More than a sport, sailing is more of a hobby and a passion for most people. However, to go sailing or even buy a boat for yourself, you need to have a license. It is basically a kind of safety measure. This license is usually in the form of a certificate. 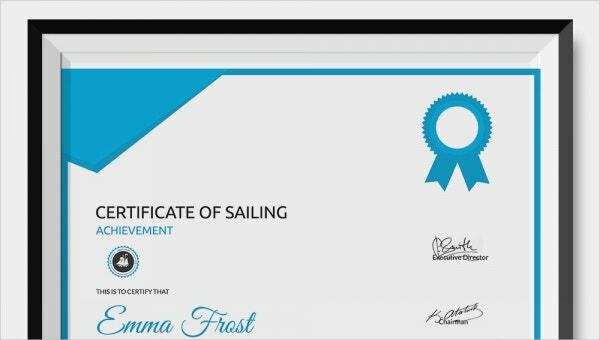 If you are interested in sailing and are planning to get a similar certificate, you should take a look at some of the sailing certificates provided below.You may also see Certificate Template. It is interesting to notice how the blue patterns near the border of the template look like waves in the ocean. Apart from that, what you get is a minimalistic design and a simple layout. The best part about this sailing certificate would have to be the neat and bold manner in which the name of the person being certified is mentioned. It is beautiful and well designed as well. 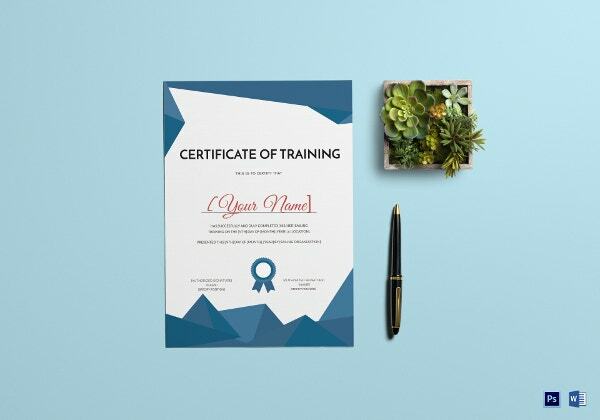 The sailing certificate template you see here is bold, dignified, appealing and compatible with Word. Given its format, you’re going to find the template easy to use. 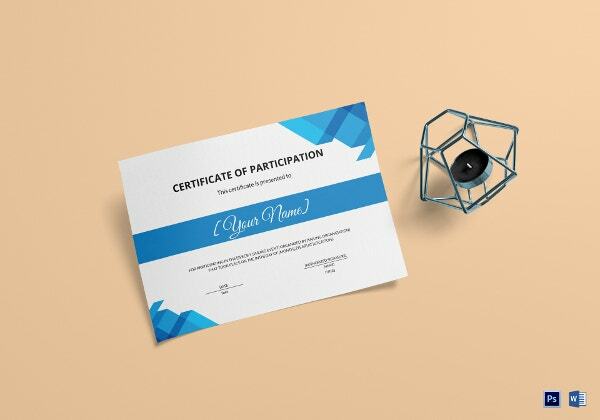 You can also see Winner Certificate Template. The first thing you notice about the template is the simple and no-nonsense outlook it maintains throughout. Devoid of any kind of flashy design, the template looks professional and elegant. 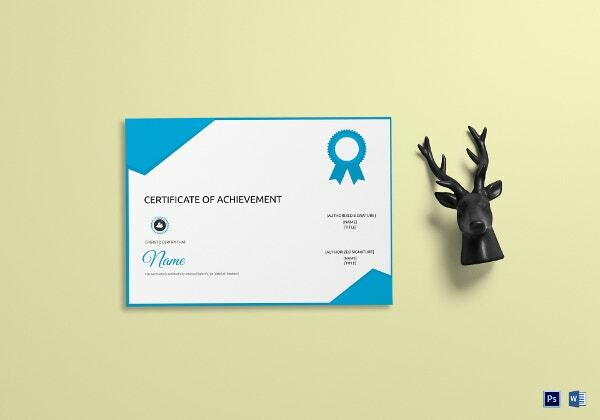 The template comes with a bright blue colour theme, a print ready format, Word and PSD compatibility, easy customization of text and colour, a CMYK colour mode, a fairly high resolution of 300 dpi and a standard size as well. > Why should you go for Sailing Certificates? The templates have been designed by professionals who know exactly what you want and need. You also get a bunch of stock images. Whether you retain them or add your own is entirely up to you. The templates are 100 % customizable and editable. That means, most of the elements that you see on the template, including the colour, the text and the graphics, are editable. > What do the Sailing Certificates Contain? The sailing certificates you see are very specific and specialized in nature. A sailing certificate looks just like an ordinary certificate. When it comes to the design, you actually have a lot of liberty to decide the content. 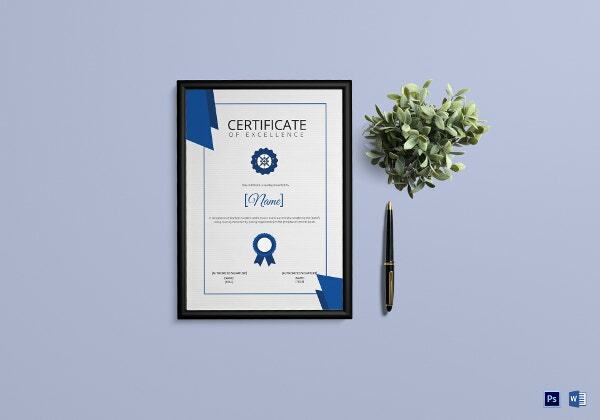 First, the certificate would state the purpose at the very beginning – this is the most important part. 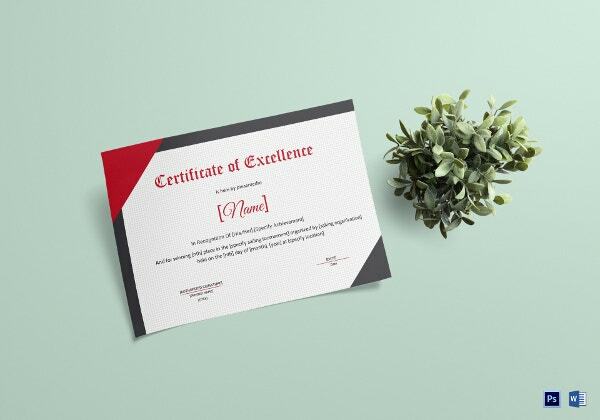 Next, you have the name of the person who is being awarded the certificate. This must be written in a clear manner. Apart from that, some other minute details must also be mentioned which can be added once you download the sailing certificate template. The sailing certificate templates that you see here can be used for any purpose related to the field. They have been kept pretty flexible, versatile and multipurpose. All you have to do is browse through the collection, pick your favourites, download them, customise them and then print them!